I'm going to guess that Mick was a pipe fitter. I have no idea why that popped into my head, but I thought it was worth a guess. Thats a good guess. It was a blue collar position, but not as skilled as a pipefitter. Could you give us another clue, Uncleson? Yes! a paraffin delivery man! Youre up Martin! Well done! I'll come up with something new soon! 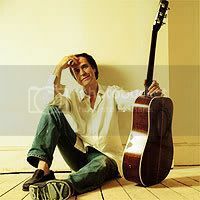 The Kinks performed a particular song live very much. Regretfully no studio recording of this track exists. Very good guesses, but regretfully no. When Ray wrote the song he actually didn't realise how excellent it was! Up to present and according to actual knowledge there exists no proper studio recording of the track. 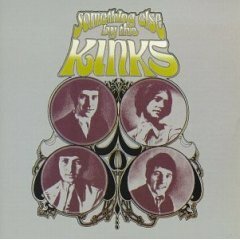 All that we have is a live recording which found its way on to two Kinks CD's. 'I Go To Sleep' ? It was never released until the demo version showed up on the Castle cd re-release of Kinda Kinks. Not sure it was 'live' so it might not fit the criteria. I know it was a big cover hit (UK) for the Pretenders and was used on Dancing With the Stars in a version done live by a female singer; so it has become quite popular! Ok, you came in and updated the clue from 'found it's way on to one Kink's cd' to 'found it's way on to two Kink's cds' at 2:37 PM while ignoring my answer which was posted at 2:21 PM and would have fit the 'one cd' criteria at least. You also ignored a direct post I made with an apology to you earlier in this thread that was responded to politely by sleepwalker. This scenario just happened to play out somewhat similarly in another thread recently with someone else! Perhaps monsiuerarmond or a couple of others 'can read your mind' on this particular clue!